It’s no secret that getting a job in this day and age is super hard. But what is probably even harder is starting your own business. But even with the stakes high against you, the reward of having a successful business all your own has got to be great. I actually happen to know a lot of people who are or have started their own business. Some of them were lucky enough to make it big enough for it to be fruitful full-time job while others are still working on that part. One promising company comes to mind. My friend’s tee-shirt company. 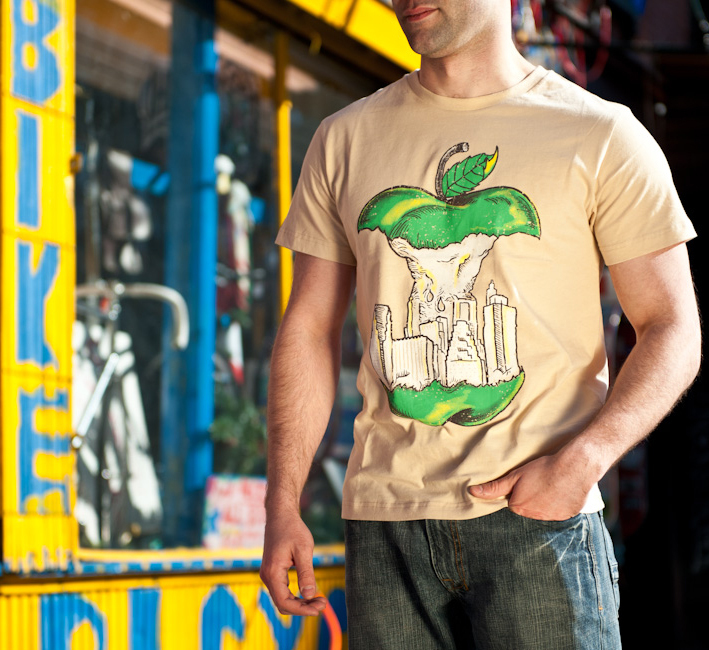 Having just launched their redesigned web site and announced a partnership with football player Stevie Johnson of the Buffalo Bills, New Gotham Designs features unique tee-shirt designs focused primarily around New York City’s culture and architecture. I really love their stuff — not just saying that because we are friends. The artwork is really creative, fun, and very well done. Another unique entrepreneurial idea comes from my artist friend who designs jewelry out of old, broken, pieces, to create original, one-of-a-kind, funky jewelry. The Eclectique Collection certainly stays true to its name, and better yet, the artist is now starting to teach classes so others can learn how to make jewelry as well. The creativity, the structure, and the drive to succeed in these endeavors is something I truly admire. It is this kind of innovative thinking and risk-taking that will ensure our economy bounces back to include more small business owners. I, myself, have thought frequently about starting my own business. I have come across many people in my professional life and personal life who do similar work to me but have different areas of expertise. My friends and I have spoken about some kind of collaborative company that combines all of our expertise, providing a full suite of services related to marketing and communications. At the moment, it’s still just a thought, and I don’t see it happening in the near future, but who knows, maybe down the road I’ll be in a position where I could get this off the ground in a whole-hearted way. Anything is possible. Starting a company on your own is hard but it can be done. I wish more people looking to buy stuff like clothes and jewelry go to places like the ones mentioned above. It would really help the economy and piss big corporations off if more people did that. Thanks so much for sharing this. For myself I really like to buy stuff outside of big corporations when I can. The problem is that a lot of people do not know where to find products like clothes and jewelry outside of Wal-Mart and that is a shame. I wish people would take the time and support start-up’s more often.